A few months back, an EarthBound (for Super NES) prototype hit eBay. It sold for many hundreds of dollars, and was never seen again. Sam just messaged me and let me know that the cart is up for sale again by a fellow named DreamTR, for $1250. You can find more details here! I doubt there are any significant game changes in this prototype – at most, there might be things like the Runaway Five still dressed in black, simple stuff like that. But it could very well be a review copy of the final build for all we know. But it’d be neat to know for sure. So if anyone’s rich, now’s your chance to get this super-duper rare EarthBound merchandise! How many of these are thought to be in existence? We only know of one of this kind. There was also this many years back, but it was probably a final build copy. The crazy in me wants to buy it right now, but the logic in me can’t spend that money. I wonder if Roo or LT are/will be considering the purchase as well. Haha, funny you’re saving for a Pac Man machine and can’t get it, Ninji, because I just bought a Virtual On machine and I’m broke =P If only this had come up a bit sooner, heh. I noticed it says “©1993 Nintendo” on it even though it has a piece of tape that says “Earthbound”. @kirby I don’t exactly see what that has to do with anything. I’d also love it if some one who could dump a rom would be able to buy this. Noooooo, thank you. I think I’ve fulfilled my quota of crazy EB-related purchases for the decade. However, it would be great if someone from the community were to pick this up. I’d love to know if there are any differences from the release version. I’ve heard of DreamTR. He’s a prototype collector. The cart is most likely in good hands. If only it could be dumped so we could scour it for changes and not pay a few months worth of rent to do so. I’m pretty sure the English translation didn’t start until after 1993. It’s likely that they recycled the main circuit boards and simply swapped out the ROM chips (note that they’re removable) for different games. I have the money to get this, but it’s my parents’ money and I don’t think they’d let me blow it all on something like this, even if it’s a crazy-rare one-of-a-kind item. Tomato, you should start a fundraiser and we’d buy it as a community! =) I would so be willing to chip in for that. Let me quote Lex Luthor… Well, I better not. I’ll just tell you to take a look at this. Even though Super Mario 2 is supposed to be a different game than Doki Doki Panic, the Super Mario Bros. 2 proto has some DDP exclusive sprites and other stuff. 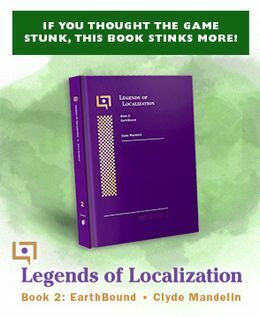 I know it differs from what we are seeing, but a prototype of a game localization must have been an unmodified Japanese ROM at some point and therefore have traces. It must. I hate sales like this. People only buy them so they can sell them on for more, to people who also want to sell them on for more. Nobody buying it actually wants to do anything with it. Its like an endless feedback loop. Anyway, DreamTR sounds like a pretty good guy, so I bet it’ll be going into good hands. I’d like to second (third?) joining together as a community to pay for this. I wouldn’t really feel comfortable trying to gather up a bunch of community members’ money in this situation, a lot could go wrong and things could get ugly fast. If I were in a better situation I’d buy it myself right now and people could chip in a little to help compensate. But as it stands now, either someone with deep pockets will need to get it or someone else will need to try to organize donors. I was thinking the same thing. I just want a real fan who will at least play through it to own it, not someone who will horde it and eventually resell it for more money. DreamTR is an avid member of nintendoage.com a nintendo collecting forum. we all need to do our part in making our voices heard,﻿ nintendo needs to know how much everyone loves this game and wants it to come back again. come on nintendo give us back earthbound again plz. its 15 years and e3 is coming up. if your going to e3 plz ask nintendo about earthbound we mustn’t give up. 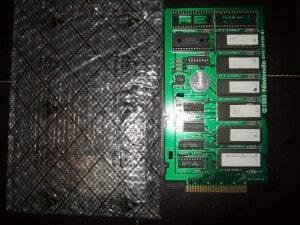 I was thinking, do you think it is possible if someone got the prototype and sent it to starmen.net or tomato to take the ram or rom and put it on the internet as a patch like the earth bound nes prototype? The same thing with Earthbound 64 if someone got the hands on the n64 beta cartridge and sent it to starmen.net or tomato to put it as a patch do you think it is possible? That would be cool though. I actually have a ROM dump of this cartridge, and have no problem sharing it with the community here, if it’s not been passed around by someone else already. I see this post is quite old, so perhaps someone else has beat me to it. It is actually quite a bit different than Earthbound. I’ve only played the first 20 minutes or so, so I can’t comment on the whole thing, but what I’ve seen has been different from Earthbound. Some similarities are there though. Seriously, I’ll be checking this page every single day until that ROM is out. How is the Proto? Still for sale? NOT saying that I want to buy it, but just curious. What is the current status of this Prototype? Who bought it?